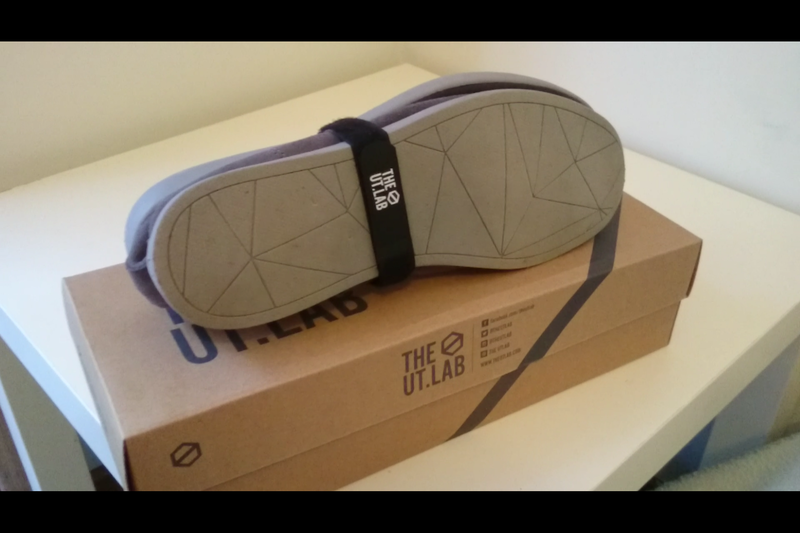 I was very excited to get my hands on a pair of the UTLab Ninja Kick style shoes after following their kickstarter and seeing the wonderful benefits this shoe promised. 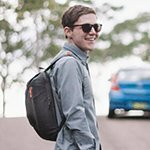 Among them were the promise of water resistance, lightweight, packability and comfort. I can safely say it delivers in a few but not all of these points. I’ll start with the good points first. The ‘Ninja kick’ line of shoes come in a variety of different colours and the sizing chart on UTLabs website is very accurate. I’ve purchased two pairs of shoes from them and both times been a perfect fit. The colour varieties also double as a bad point here because in my opinion some of the colour pairings are really unattractive. I was hoping for more standard ‘black/white’ and ‘grey/white’ colours however they often only offer ‘black/black’ and the grey ones I have I thought were ‘gray/white’ are actually ‘grey/lightgrey’. I think the UTLab should over colour customisation much like the Nike website does. 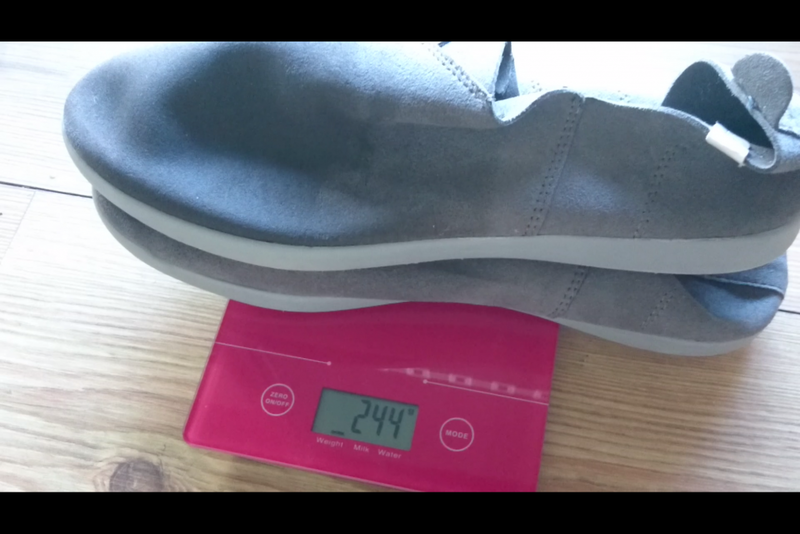 The next good point about these shoes is that they are very lightweight, they weigh a mere 120 grams (0.28lbs) per shoe for a total of 240g (0.52lbs). This is mostly due to the minimal design and the fact they’re made from microfiber. This is great for travelling light as they will fit into your bag as compact as any pair of flip-flops. Now this microfiber, as I mentioned earlier, is listed on the website as a special type of “Water-resistant” microfiber but in practice it just absorbs the water like any other microfiber. Which is a shame because I was really hoping these would be able to repel water and be a kind of ‘all weather’ shoe. These shoes also have a removable insole, which is impressive for such a lightweight shoe. They are really quite comfortable to wear and have a fairly ‘barefoot’ feel to them. I think barefoot enthusiasts would like the ‘zero drop’ feel that you can achieve by removing the insole. The final good point about these shoes is that due to the flexibility of the microfiber you can fold down the back of the shoe and slip them on and off easily like slippers. I did briefly touch on the bad points of these shoes but I will reiterate. They are absolutely not water resistant as claimed (at least not in my testing). The microfiber material is not stretchy at all and as a result the shoes are not as easy to ‘slip on’ as you would think. I often found myself needing to use two hands while putting them on and taking them off. In my opinion this makes them a poor shoe for travelling because when travelling to countries like Japan you will be expected to put on and take off your shoes nearly everywhere. One final thing I want to mention is the UTLab has absolutely amazing customer service. I previously did a review of their Tyvek shoes but I had to return them (several times) and the customer service was always outstanding. Overall I do like these shoes and they are definitely a step in the right direction towards the perfect travel shoe. There is however room for improvement and I am looking forward to see what the UTLab cooks up next.